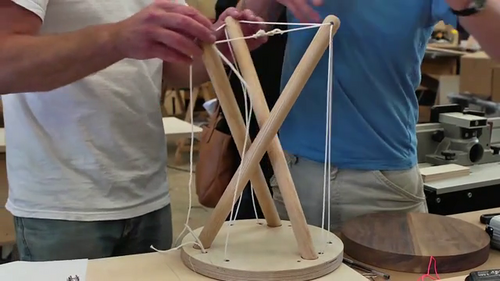 Read here about a wooden stool built on tensegrity principles, by artist Sam Weller. 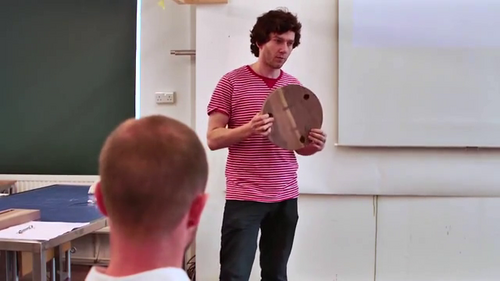 Sam Weller is an artist, product designer and maker of furniture. Having previously trained and worked as a design engineer, in the summer of 2012, Sam completed a two year masters at London's Royal College of Art studying Design Products under Sebastian Wrong and Harry Richardson.Sam has exhibited his work around Europe, including the V&A in London (UK), Salone del Mobile in Milan (Italy) and Stockholm Design Week (Sweden). At his studio and workshop in London, he continues to design products, furniture, and lighting. 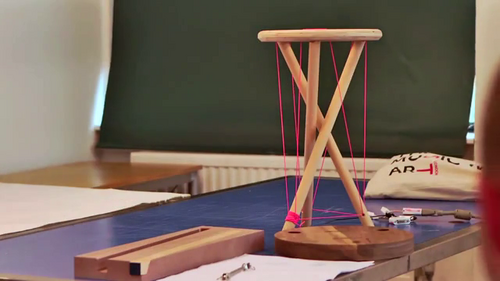 In 2012 he created the Snelson stool. 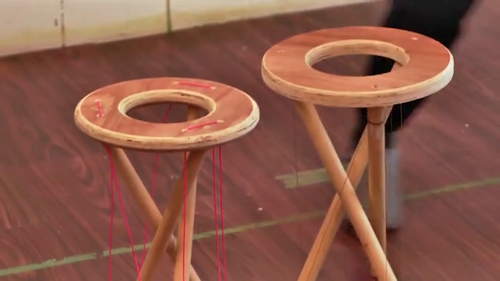 The stool has a round disk top, with recesses to insert the three stool legs. These form the three struts of a classic 3 strut antiprism. 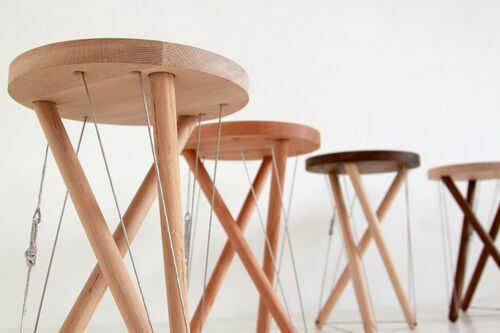 The cylindrical stool top has guides for the tensegrity tendons. The tendons are tightened using sailing ship cable tighteners. This project was run in conjunction with Benchmark. Material was kindly provided by the American Hardwood Export Council (AHEC). The Snelson Stool was exhibited at the Victoria & Albert museum in London during London Design Week 2012 as part of AHEC's 'Out of the Woods' project. This page was last edited on 18 January 2019, at 09:43.